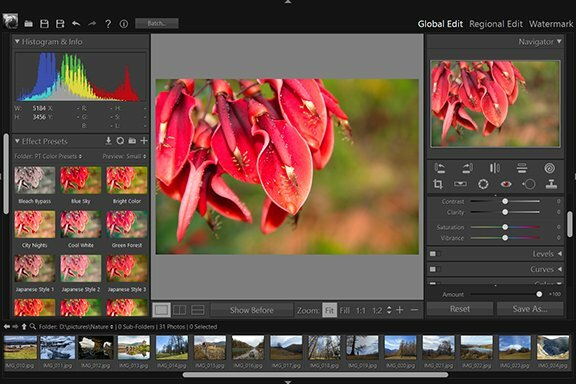 Lasso - Regional Edit - User Guide of PT Photo Editor - Easily rescue problem photos. Make every shot its best. The Lasso tool is useful for selecting a certain object by drawing a selection border. It lets you make very precise selections. 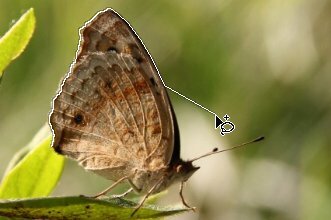 Select the Lasso Tool in the tool strip or press "L". Specify whether to add a new selection, subtract from a selection, or select an area intersected by other selections. To add some transparency to the selection, drag the "Opacity" slider to the left. To soften the selection border so that it blends into the area outside the selection, enter a "Feather" value. Drag to draw a freehand selection border, while continuous clicking in the photo can create straight-edged segments of a selection border. If the pointer is not over the starting point, double-click. A straight selection segment is drawn from your pointer to the starting point of your selection. Hold "Shift" or "Ctrl", you can switch the selection mode temporarily. For example, if now the selection mode "Add to selection" is chosen, hold Shift will change to "Subtract from selection", while hold Ctrl will change to "Intersect with selection". To erase a segment, press the "Delete" or "Backspace". To remove all previously created segments, press "Esc".